I have a confession to make: I am obsessed with waffle irons. I so want to live one of those free and easy minimalist lifestyles where everything I own can fit into one bag, but I have to be honest with myself. My waffle makers alone could possibly (okay, thy do) take up an entire shelf. I have no idea how my waffle make/iron obsession started but it’s definitely fully blown. I can only promise myself that I won’t get any more. 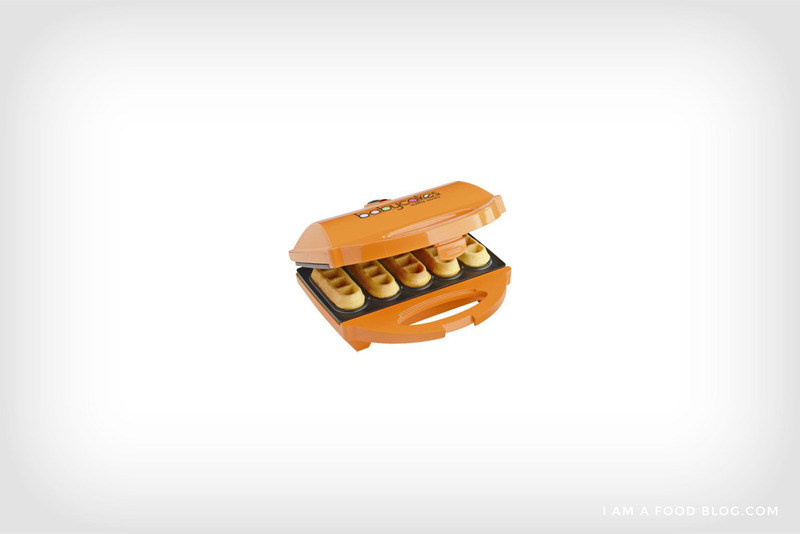 I have this Babycakes Waffle Stick Maker. Mike gave it to me for Christmas one year and I absolutely love it. The sticks are perfect for dunking and it’s held up surprisingly well. I don’t know if I would have bought this on my own, but now that I have it, I absolutely love making waffle sticks. Pouring the right amount of batter into each well takes a little getting used to, but once you figure out the right amount (depending on how thick your batter is, I’d say about 1- 1/2 tablespoons) you’ll be popping out the waffle sticks like there’s no tomorrow. It’s one of the simpler waffle makers I have, with a red and a green light to indicate when the iron’s hot and when your waffles are done. I used it in this post and I absolutely love the shape! The Chef’s Choice Classic Square is my all time favorite. It heats up super-quickly, is awesome on the release and has temperature controls. It’s the maker I use the most often. I especially like just putting blobs of batter in to get odd shaped waffles, instead of squares. I’ve successfully used it to make waffled french toast, waffled tofu and rice, and waffled sausages. I found this waffle maker in the back of Mike’s kitchen cupboards when I moved in and it’s served us for well over 5 years. It heats up consistently and I love having an older waffle maker that I can experiment in without worrying about damaging. I’ve made donut waffles in it, regular waffles, all-cheese waffles. This maker is a workhorse in my kitchen and I love it. It’s one of the simpler models with just a single indicator light, but sometimes simple is just what you need. He’s an oldie but a goodie and you can’t buy him anymore, but I had to include him in this round-up. I absolutely love those little gai dan jai, or egg bubble waffles you get in Hong Kong. They’re made up of tiny, chewy, faintly sweet waffles that are ball-shaped. The are incredibly addictive and when I saw I could make them at home with a bubble waffle iron, I couldn’t resist. This is completely unlike any of my other waffle irons and I only bust this baby out when I’m having parties or feeling like an extra special treat. It’s basically two plates that you heat up separately on the stove top. You pour in your batter, lock one plate into the other and then flip the whole thing over and toast both sides. This bubble waffle maker takes a bit more elbow grease, but I find that the piping hot egg waffles are totally worth it. And…that’s it. I guess four waffle makers isn’t too extreme. Do you guys own any waffle makers? This side of the Atlantic people don’t really make waffles (Belgium excepted) so I don’t have a single waffle-maker! I would think that they’re quite difficult to find in shops here, sadly. I am impressed at your waffle dedication though!  The waffle stick maker looks especially adorable! You had me at donut waffles! Genius! I am not fair behind ( i have three kinds too). My egg waffle one one of those fire place ancient ones that come in to parts. You almost have enough to have waffle bar party! I just received the classic square waffle maker, and I am SO excited to use it. I started sketching down a list of what flavors I could make.. and then I realized it was pointless because I would just end up with this giant list, because the possibilities are endless!!!! Whaaa!!! 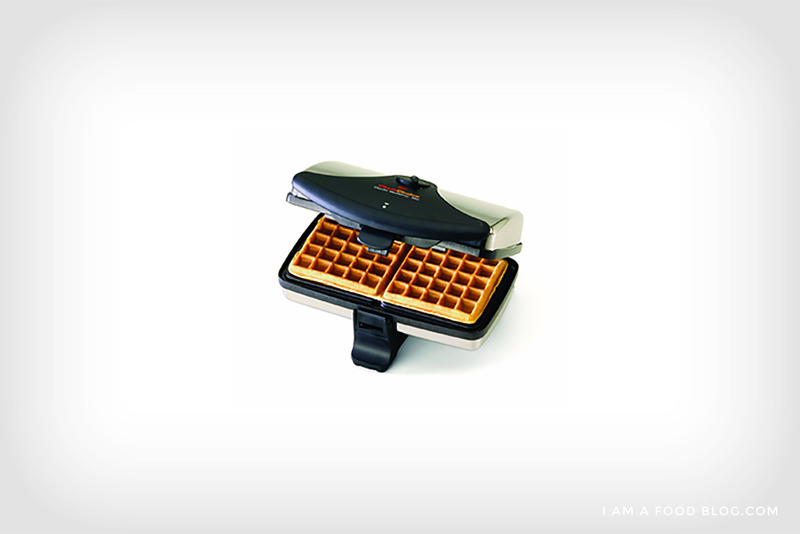 Four waffle makers. You are a mad woman. I have one. A round one that’s Belgian-style but I really want a square one. But I can’t bring myself to buy another one. Grrr! I have a sunbeam that makes heart shaped waffles and chirps like a bird when they are ready. It has been serving me well for over 27 years, turning out perfect waffles on a very regular basis! We only have one at all because it’s Mickey Mouse-shaped and my husband HAD to add it to our wedding registry. It’s currently not in the house because we lent it to friends hosting a waffle party, and we keep forgetting to get it back. Clearly we are lacking in the waffle dedication arena. Although I really do want to learn to make Belgian waffles. I want them all!!! The more the merrier. That bubble waffle iron is the cutest!! Hi there, just found your waffle post, I can see how you can get addicted to these things, we have a really old crusty one that comes out on national waffle day here in Sweden. 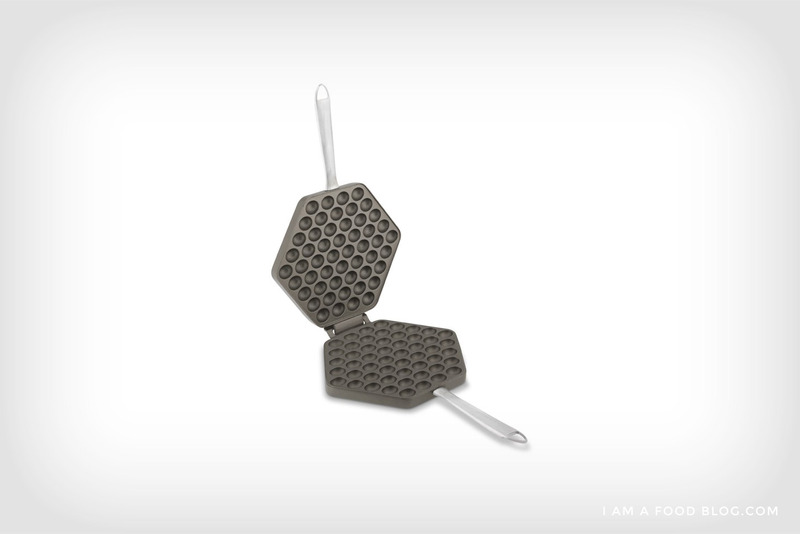 I am trying to get my hands on a Dutch Waffle press, to make StroopWaffles. If you havn’t tasted them you must, thin crispy waffles with a layer of gooey caramel in the middle, very addictive indeed. I have the waffle stick maker. I thought it would be fun for the grandkids but all they want are Eggos. I also have a Belgium waffle maker but I want the two square one you have. My mom had the classic four square waffle maker. We rarely just had waffles, I guess she found pancakes easier. But every time she cooked a whole turkey, we eventually had waffles and turkey hash. It’s what we got when all that was left was the meat you picked off the bones. I haven’t used the waffle stick maker in a while but I am tempted to try the mac n cheese sticks. They look delicious.